It's so funny because the bouncers were driving us away from the aisles near the stage. But when the lights were turned off and only the stage lights were up, we ran to the part nearest the stage. 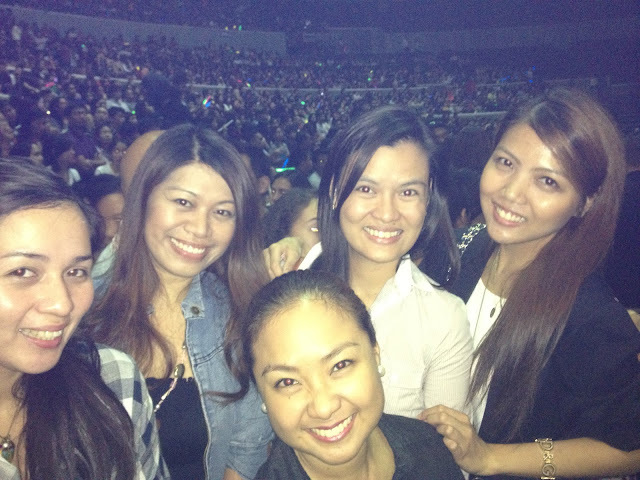 And while watching the concert, we were pushed by people towards the stage that's why we ended up so near the stage! haha! Payphone (Maroon5 in Manila) from royciepoisie on Vimeo. She Will Be Loved (Maroon5 in Manila) from royciepoisie on Vimeo. 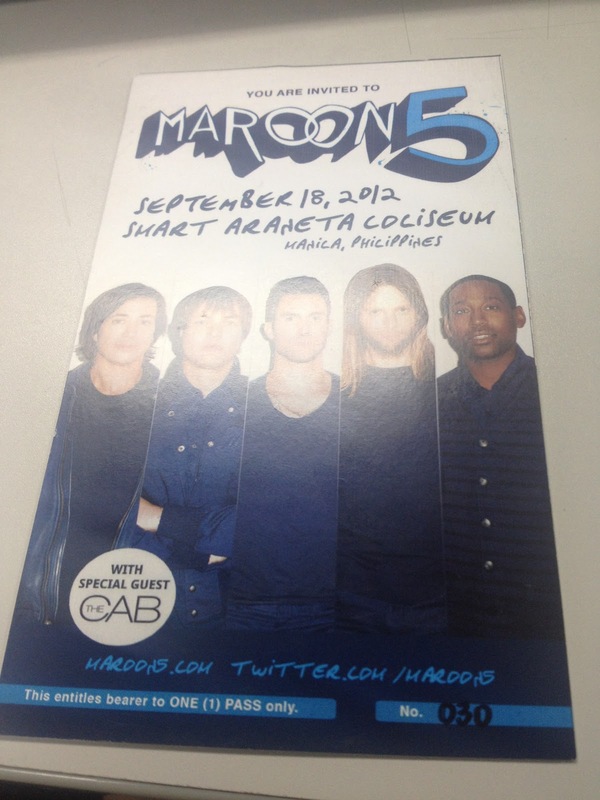 Daylight (Maroon5 in Manila) from royciepoisie on Vimeo.